Antoine Griezmann’s potential move to Manchester United has been categorically denied by Atletico Madrid president Enrique Cerezo. Griezmann has been strongly linked with a summer arrival at Manchester united over the last few weeks. Jose Mourinho is said to be desperate to meet the French attacking sensation’s £85million release clause to secure this deal and there are reports suggesting personal terms have already been broadly agreed too. But Cerezo is still puzzled by the transfer saga. He still believes Atletico’s star performer is going nowhere. 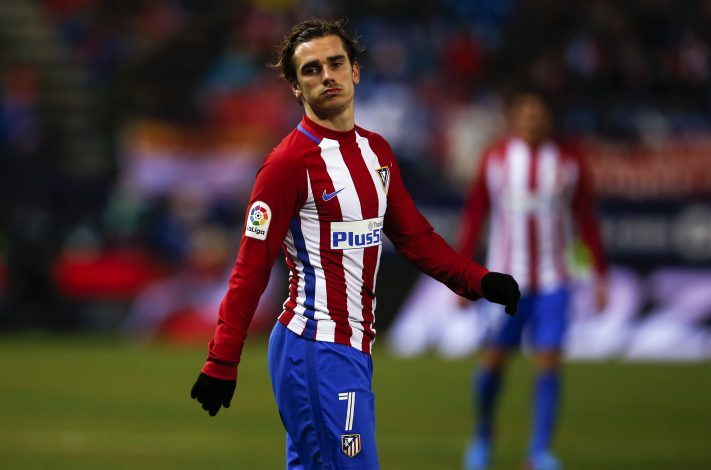 “Every time I see Antoine I give him a hug,” Cerezo told Spanish radio station Cadena COPE. However, these comments completely differ from that of Griezmann’s image adviser, who believes a move to Old Trafford would be the perfect future for his client. “When I read articles on a hypothetical transfer to Manchester United, I have to say this would be the ideal scenario in marketing,” Sebastien Bellencontre said. Griezmann’s current under contract runs until 2021, having penned a new deal only in June which includes a staggering €100m release clause to ward off interest from some of the elite clubs of Europe. The France international has eight La Liga goals in 20 appearances so far this season, with Atletico Madrid seven points behind league leaders Real Madrid.